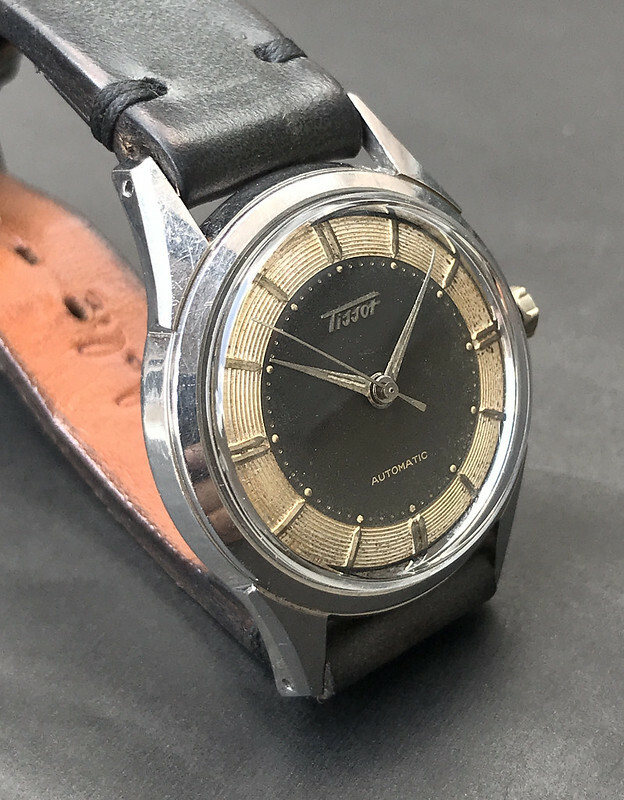 I'm selling this nice Tissot tuxedo dial from 1955. 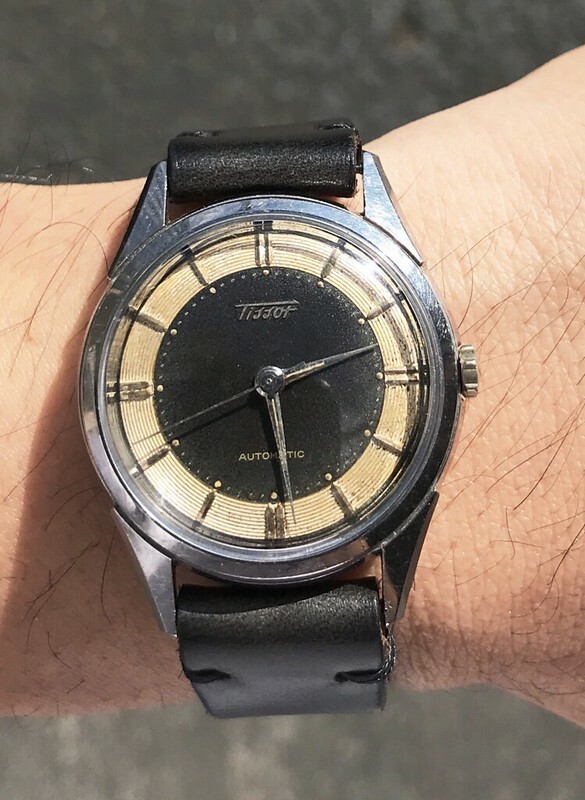 The dial is nice, featuring a black inner circle that depending on the light, can look gray. 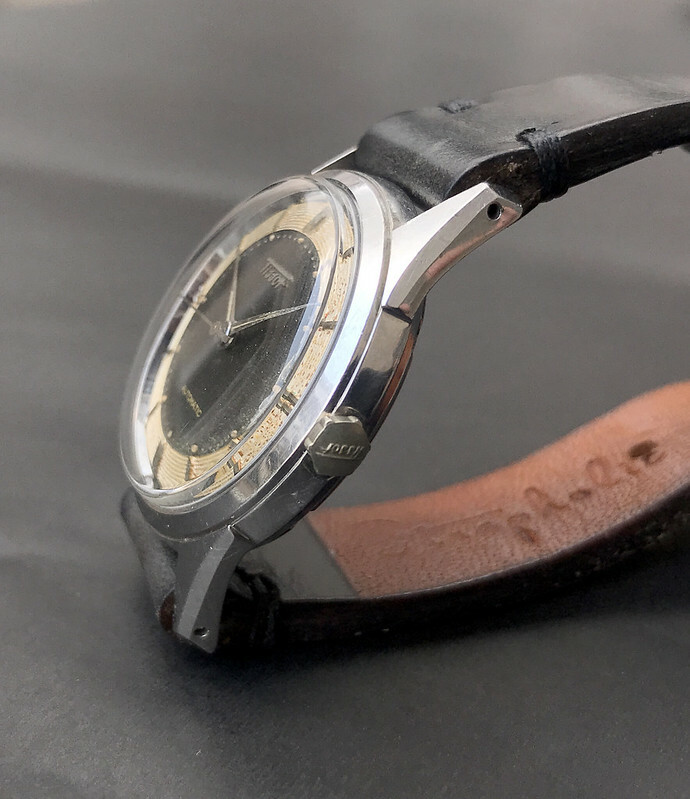 The 34 mm case is sharp, with the correct signed crown. 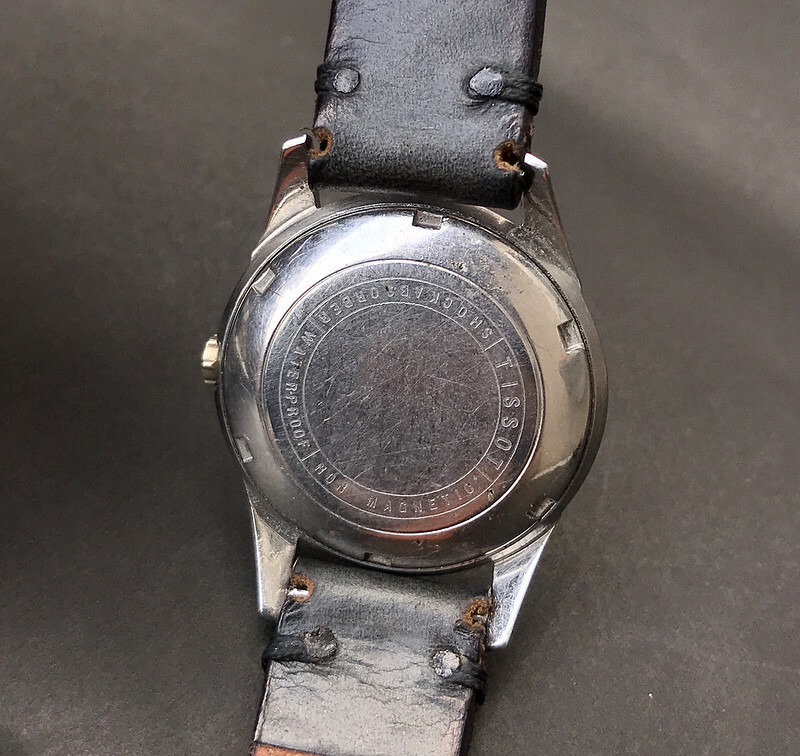 The watch was serviced just last September 2017. 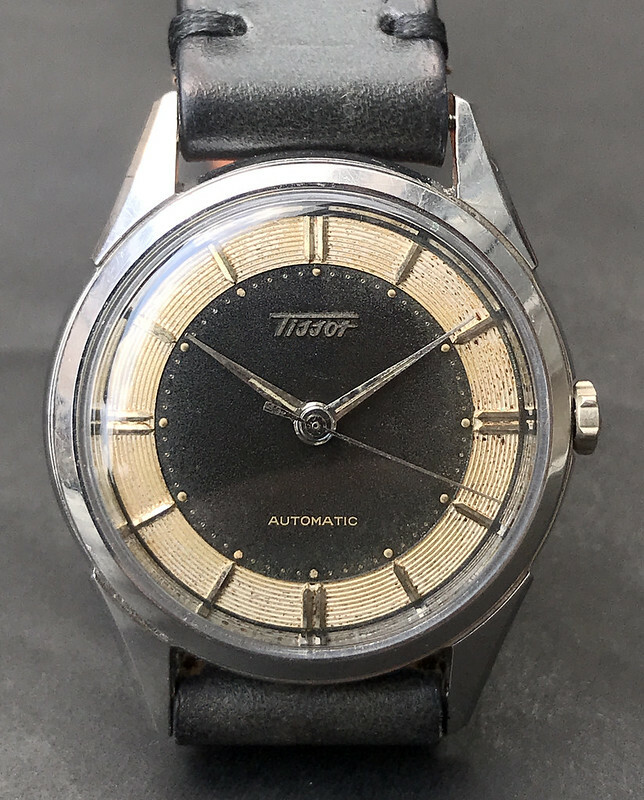 I'm asking for USD 675 OBO (watch only), with Fedex international economy shipping included (Paypal F/F or 4%). Thanks!